Hei....mā/ mō. 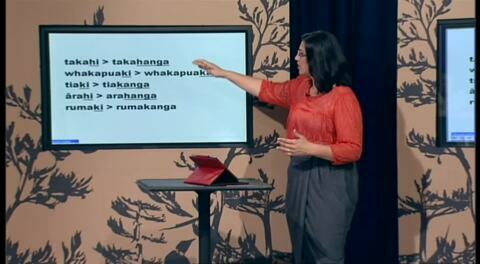 This Māori language series captures the dynamics and interactions in a class of students with medium language proficiency. Te pū 'Kei' hei whakatūpato. 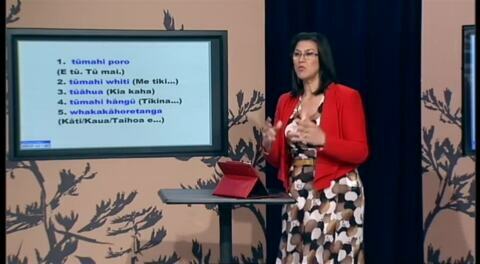 This Māori language series captures the dynamics and interactions in a class of students with medium language proficiency. He kīanga mō te toa me te wairuatoa. 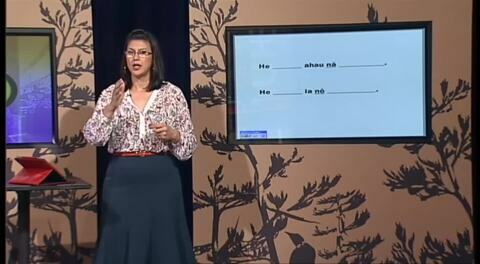 This Māori language series captures the dynamics and interactions in a class of students with medium language proficiency. 'nā...i...ai'. This Māori language series captures the dynamics and interactions in a class of students with medium language proficiency. 'Tumahi - Tūinga hanga'. 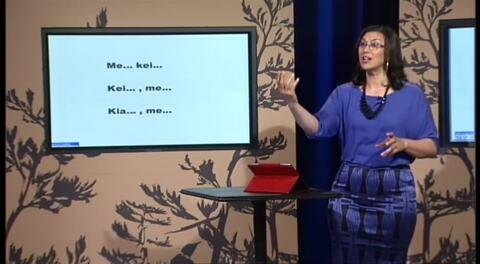 This Māori language series captures the dynamics and interactions in a class of students with medium language proficiency. Te reremahi me te rerehāngu ka tīmata ki te 'Me'. 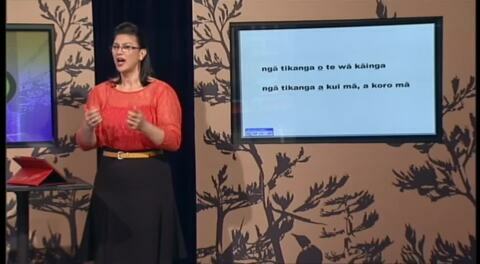 This Māori language series captures the dynamics and interactions in a class of students with medium language proficiency. 'pēnei, pēna, pēra'....i - ki. This Māori language series captures the dynamics and interactions in a class of students with medium language proficiency. Te pū 'ranei'. This Māori language series captures the dynamics and interactions in a class of students with medium language proficiency. This Māori language series captures the dynamics and interactions in a class of students with medium language proficiency. Te Rerenga 'He....nā/nō....'. This Māori language series captures the dynamics and interactions in a class of students with medium language proficiency. Ngā Momo Tohutohu. 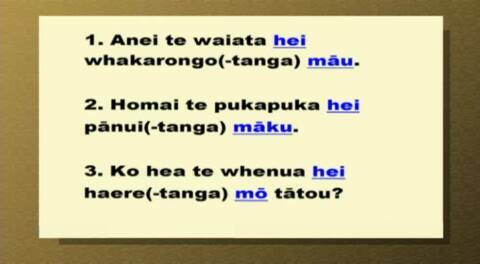 This Māori language series captures the dynamics and interactions in a class of students with medium language proficiency.